Two of the most highly acclaimed writers in the nation will be among the guest speakers at the Georgia Literary Festival, being held November 9-10 on Jekyll Island, Georgia, the Jekyll Island Authority announced. Natasha Tretheway, who was named U.S. Poet Laureate this year, as well as Georgia Poet Laureate Judson Mitcham, will be included in the line-up of talented writers slated for the 2012 Georgia Literary Festival. Also speaking at the two-day festival will be accomplished Southern cuisine chef Hugh Acheson, a six-time James Beard-nominee and author of “A New Turn in the South: Southern Flavors Reinvented for Your Kitchen,” as well as authors Janisse Ray, Mary Kay Andrews, Steve Berry and more than 30 authors with roots linking to Georgia and the South. During the two-day festival, slated for Nov. 9 and 10, dozens of celebrated authors will speak at the oceanfront Jekyll Island Convention Center, discussing a variety of topics, including workshops and lectures on their own work and inspirations. There will be a full day of free author programs at the Convention Center Saturday with additional special events Friday and Saturday at the nearby Jekyll Island Club Hotel. Sponsored by the Georgia Center for the Book with funding from the Georgia Humanities Council and local sponsors, the 14th annual festival will be co-hosted by the College of Coastal Georgia, the Jekyll Island Authority and the Golden Isles Chamber and Visitors Bureau, among others. Representatives of area organizations including the Golden Isles Arts and Humanities Association, the Jekyll Island Club Hotel and the Georgia Sea Turtle Center, have been planning the event since 2011. The 2012 Georgia Literary Festival will be held November 9 and 10 at the Jekyll Island Convention Center, with select events hosted at the Jekyll Island Club Hotel. Admission to most festival events is free. 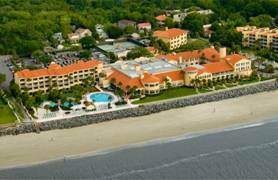 In conjunction with the festival, the Jekyll Island Club Hotel is offering a guest package, which includes two nights of accommodations, a wine dinner Saturday featuring a menu by Chef Hugh Acheson, tickets to the “Tea with Ms. Daisy” event Friday, as well as breakfast both mornings. 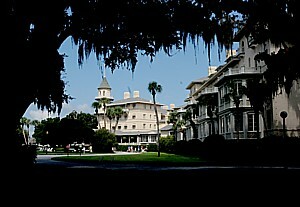 For more information on Jekyll Island Club Hotel packages and for a complete Festival schedule, visit www.jekyllclub.com. For more information about the Festival and featured authors, visit www.georgiacenterforthebook.org. Judson Mitcham — Recently named the Georgia Poet Laureate, Mitcham is the award-winning author of both poetry and fiction whose books include the novels “The Sweet Everlasting” and “Sabbath Creek.” He is a two-time winner of the Georgia Author of the Year and the Townsend Prize. His books of poetry include “Somewhere in Ecclesiastes.” He currently teaches at Mercer University in Macon. Hugh Acheson — A regular judge on Bravo TV’s “Top Chef” cooking series, Acheson is the renowned chef and author of “A New Turn in the South: Southern Flavors Reinvented for Your Kitchen.” A six-time James Beard nominee for Best Chef Southeast and recently named Best Chef by Food and Wine magazine, Acheson is the chef/owner of the award-winning 5 & 10 restaurant in Athens and Empire State South in Atlanta. June McCash — McCash is the author of six nonfiction books and most recently a debut novel, “Almost to Eden” set on Jekyll Island. 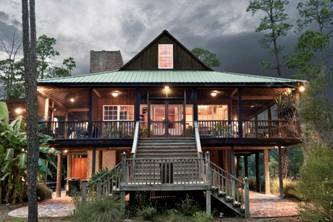 Three of her books have focused on the history of Jekyll Island and the Jekyll Island Club: “Jekyll Island’s Early Years,” “The Jekyll Island Club” and “The Jekyll Island Cottage Colony.” She makes her home in Tennessee.